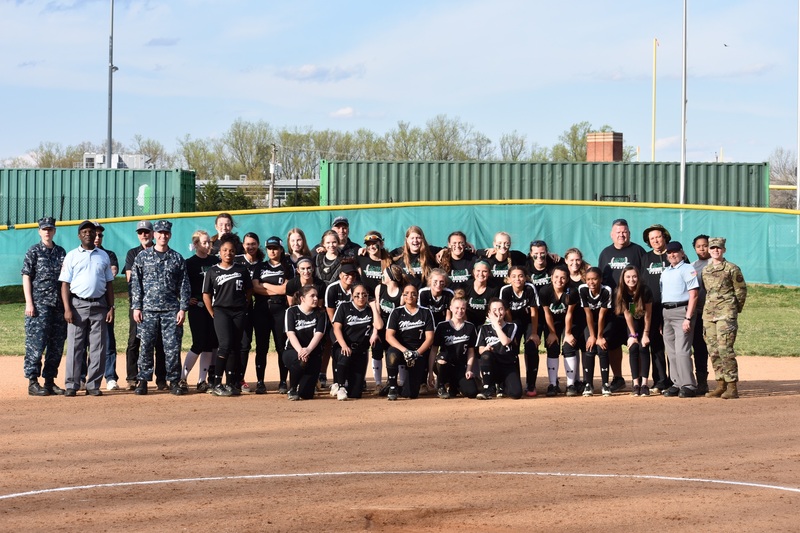 Wednesday game was a special day as both Arundel and Meade Baseball and Softball programs honored our Military in a military appreciation game. The Arundel baseball and softball teams wore military appreciation shirts where $5 per shirt will be donated to a military charity. The umpires were military veterans and many military, veterans and their families attended the game. We thank you for your service and sacrifice! Also wish to thank Jackson Dean who sang the National Anthem and the Meade color guard who presented the flag. Ft. Meade fired up the offense in the first inning scoring two runs on two hits and an error. 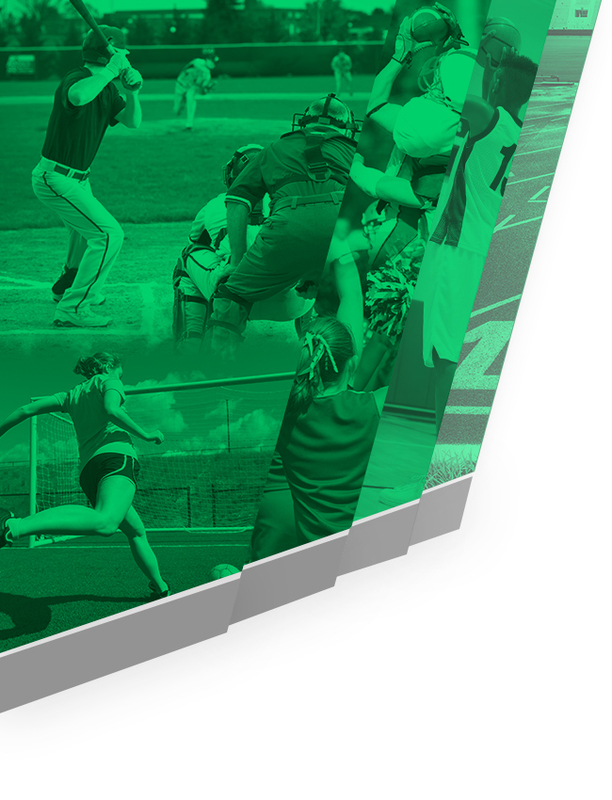 The Wildcats answered back with one run in the second inning when Morley led the inning off with a single, stole second and then Sam Cinotti scored her on a single. Gretchen Yanns had a three up three down inning in the top of the second striking out two and popping up to first. The Wildcats pulled away for good with 14 runs in the second inning. Sierra Williams led the inning off reaching on a dropped third. Gentry followed with a single and stole second to setup Savannah Brooks double to score them both. Tori Harter then reached when she was hit by the pitcher. Brooke Beall followed with a single, Morley then scored Harter when she reached on an error. Cinotti plated Beall on a groundout. Kaitlyn Penny then singled, Yanss walked and then Williams followed with a double scoring Penny and Yanss. Gentry then scored Williams on a single. Brooks followed with another double scoring Gentry. Harter walked and Beall plated her on a double. Morley then plated her with a triple. Morley then scored on an error. Leaving the score at 15-2 in the Wildcats favor. The Mustangs fought back in the third getting two batters on base when the lead off reached on an error and another batter reached on a double. But Yanss forced a ground out and two fly outs to get out of the inning without anyone scoring. Yanss only allowed one more batter to reach base with a walk the remainder of the game. The Wildcats offense was shut down in the third but in the fourth Morley led the inning off with a single, stole second base and reached third on a ground out. Yanss then scored her on a single. 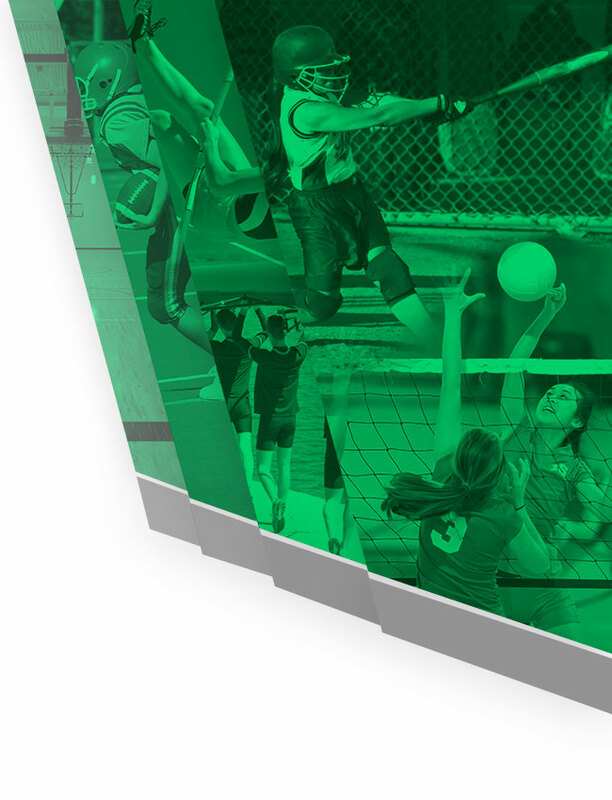 Making the final score 16-2.